Suicide remains prevalent and broadly misunderstood. Over 40,000 deaths per year in the U.S.
2nd leading cause of death among those 15-24 years old in the U.S.
12 U.S. teens per day die by suicide/575,000 attempts by U.S. teens per year. 4th leading cause of death in U.S. among adults ages 18-65. Suicide exceeds motor vehicle deaths and homicides. Over the past decade the suicide rate has risen from 10.4 to 12.1 deaths per 100,000 people. Every day, about 105 people in the U.S. die by suicide. The only top ten cause of death rising in prevalence. 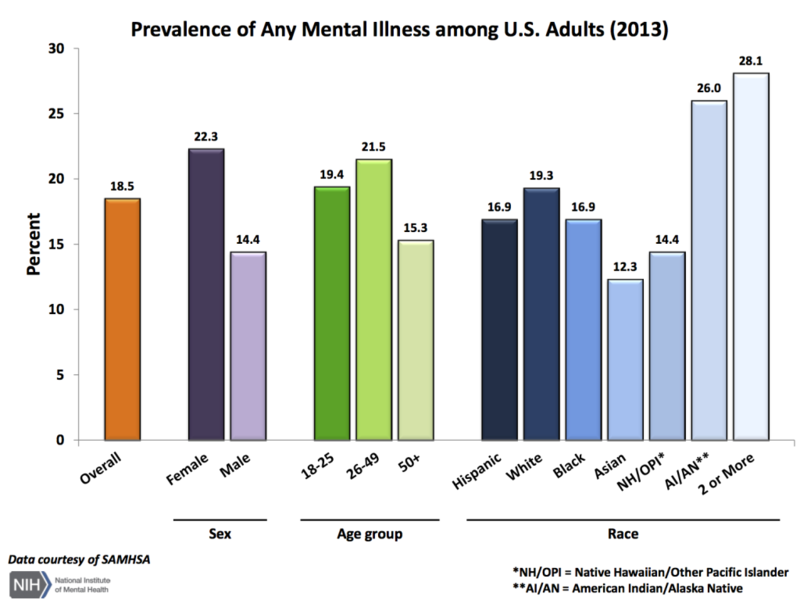 Mental health disorders are associated with > 90% of all suicides. 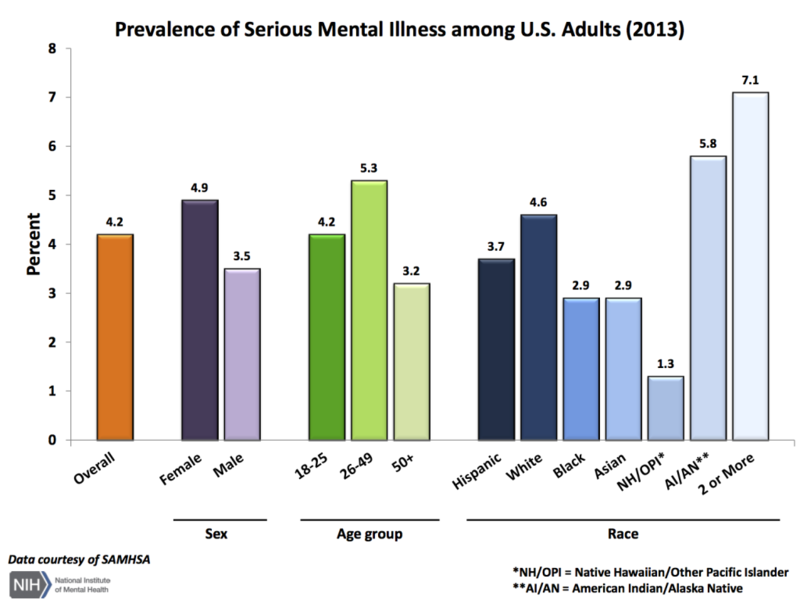 National Alliance on Mental Illness (NAMI, 2015) and The National Comorbidity Survey Replication (NCS-R, 2014) reports, 1 in 4 adults suffer from any mental illness (AMI), with 22.3% suffering from a severe and persistent mental illness (SMI). The United States spends approximately $193.2 billion in mental health costs per year, yet 60% of adults with a mental illness did not receive mental health services in the previous year. Not seeking appropriate mental health services, often results in “self-medicating.” Given this, approximately 8.4 million adults have co-occurring mental health and addiction disorders. Suicide is the 10th leading cause of death in the United States, with 90% of those who die by suicide have an underlying mental illness. *Depression is the leading cause of disability worldwide. Petronis KR, Samuels JF, Moscicki EK, Anthony JC. An epidemiologic investigation of potential risk factors for suicide attempts. Social Psychiatry and Psychiatric Epidemiology, 1990; 25(4): 193-9. U.S. Public Health Service. National strategy for suicide prevention: goals and objectives for action. Rockville, MD: USDHHS, 2001. Gould MS, Greenberg T, Velting DM, Shaffer D. Youth suicide risk and preventive interventions: a review of the past 10 years. Journal of the American Academy of Child and Adolescent Psychiatry, 2003; 42(4): 386-405.